Ministers have agreed to lend Transport for London (TfL) £350m to get the delayed Crossrail project up and running. It follows the announcement of a delay of up to a year to the central section of the cross-London rail link, to be known as the Elizabeth Line, with both the additional costs and delayed revenue impacting the finances of TfL, of which Crossrail Ltd is a wholly-owned subsidiary. Transport minister Jo Johnson told MPs that discussions between TfL and government as to how any additional funding will be provided are underway, ‘with London - as the primary beneficiary of Crossrail – bearing any additional costs via a financing arrangement’. 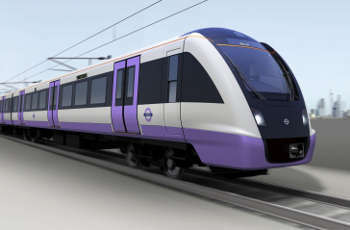 London's Transport Commissioner, Mike Brown, said: ‘The confirmation of an interim financing package between the Government and the Mayor of London will enable Crossrail Ltd to continue its construction work and vital testing at pace to open the Elizabeth line to passengers as quickly as possible. ‘The funding will go towards Crossrail Ltd completing the final fit out of the tunnels, work on stations and the extensive safety and reliability testing needed for the new systems. ‘We have commissioned independent reviews into Crossrail Ltd's governance and financing to ensure its projections are robust. These reviews are being carried out by KPMG and once this work is finalised a full financing agreement will be developed by the Government and Mayor of London.